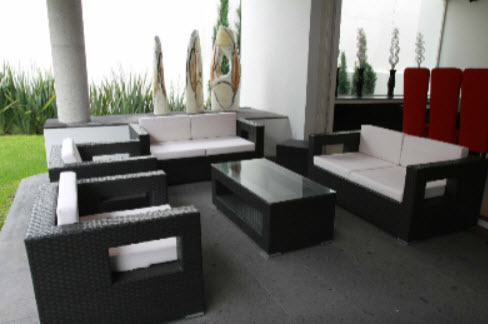 Contemporary elegance with a twist (it's all-weather rattan) and a splash -- those vibrant cushions make the entire Mexico living room or Mexican patio ensemble "pop." 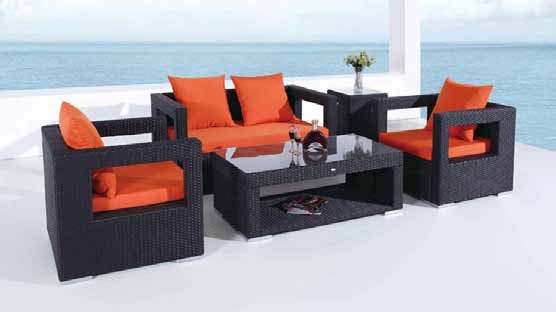 Contemporary elegance with a twist (it's all-weather rattan) and a splash -- those vibrant cushions make the entire Mexico living room or Mexican patio ensemble "pop." 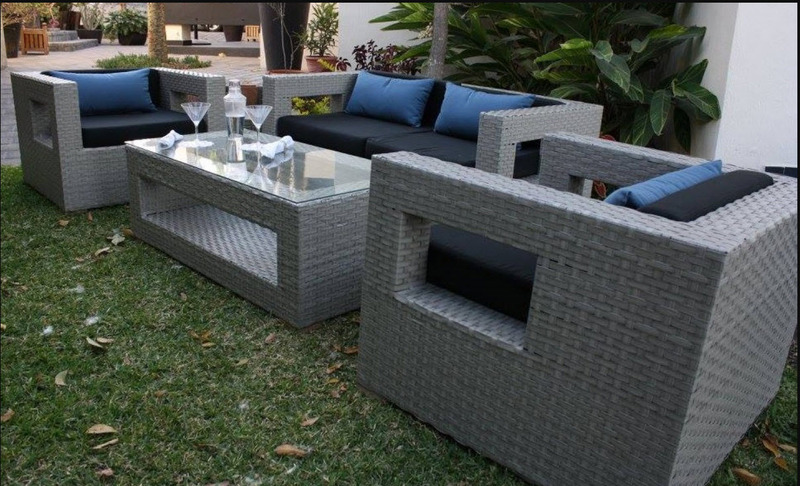 This all-weather rattan living room sectional would be completely at home in your Mexico penthouse or ocean-view condo in Puerto Angel, as well as in a secluded pool area in Cabo, or a lovely Caribbean patio in Ajijic. 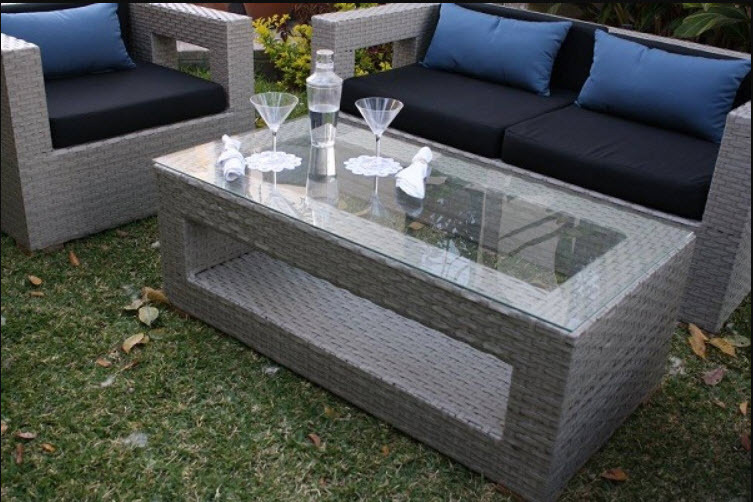 This is a beautiful, verstaile and extremely durable ensemble. Available in grey or chocolate brown. Cushions included, decorative throw pillows not included. Armchairs are 35.5" x 33" x 25"
Loveseat is 61.5" 33" x 25"
Coffee table is 47.25" x 23.5" x 17"